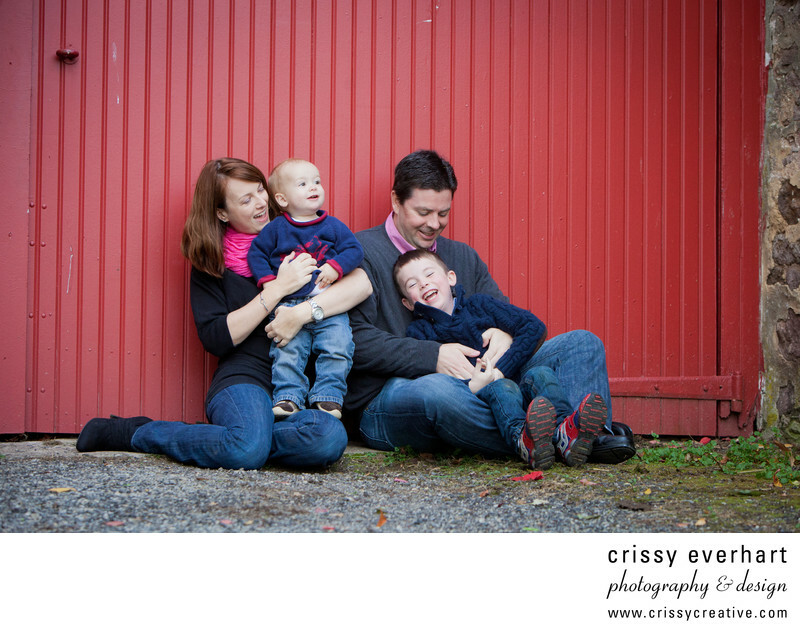 Family of four in front of a red barn door, happy, laughing. The parents are tickling the kids and everyone is having fun. The family is all wearing denim blue jeans and navy and red shirts, and sits in front of the red barn wall at Prophecy Creek Park in Ambler, PA.